We’ve established quite a rhythm on this China visit. Train into a city an hour before dusk, do an attraction at sunset, find a restaurant with local cuisine, then find a bar with local beer. In Pingyao and Kaifeng, the last step hasn’t been possible. Great places both, but just no bars (KTV doesn’t count). 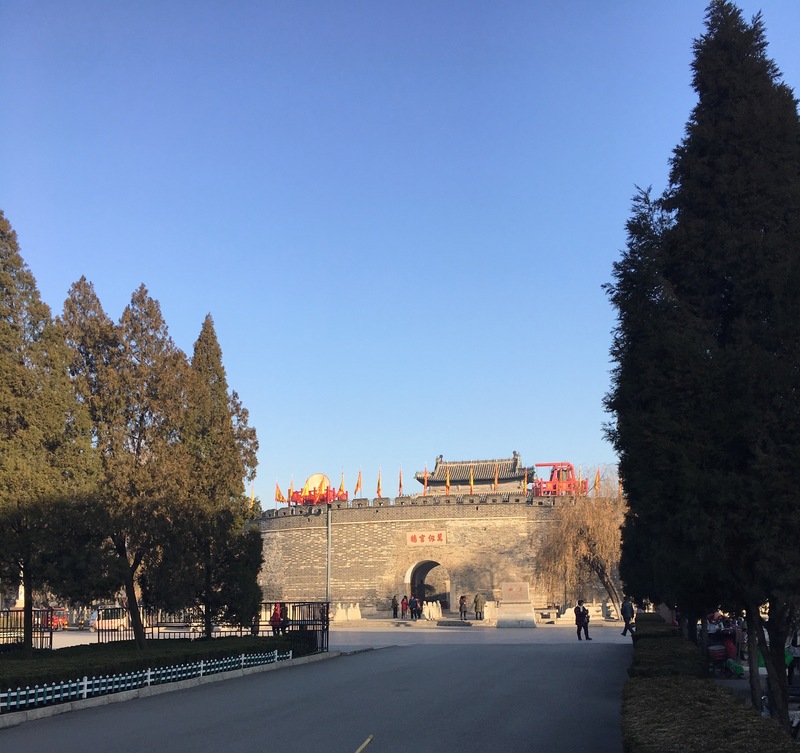 Qufu’s South Gate – it is where the action is! Qufu, which is the first place in China I’ve been where I haven’t seen a single Westerner, actually has a bar strip. All three bars were built into the inside wall next to the eastern southern gate. Add the bar in the Youth Hostel and you’ve got yourself a tidy little pub crawl. Start at “Fixed & Coffee”. This is a great little den on the right of the gate. It is decorated with all manner of bike parts. Beer choice is limited to Tsingtao or Lu Beer (which I guarantee you won’t have had unless Tom K from @Untappd is reading this). 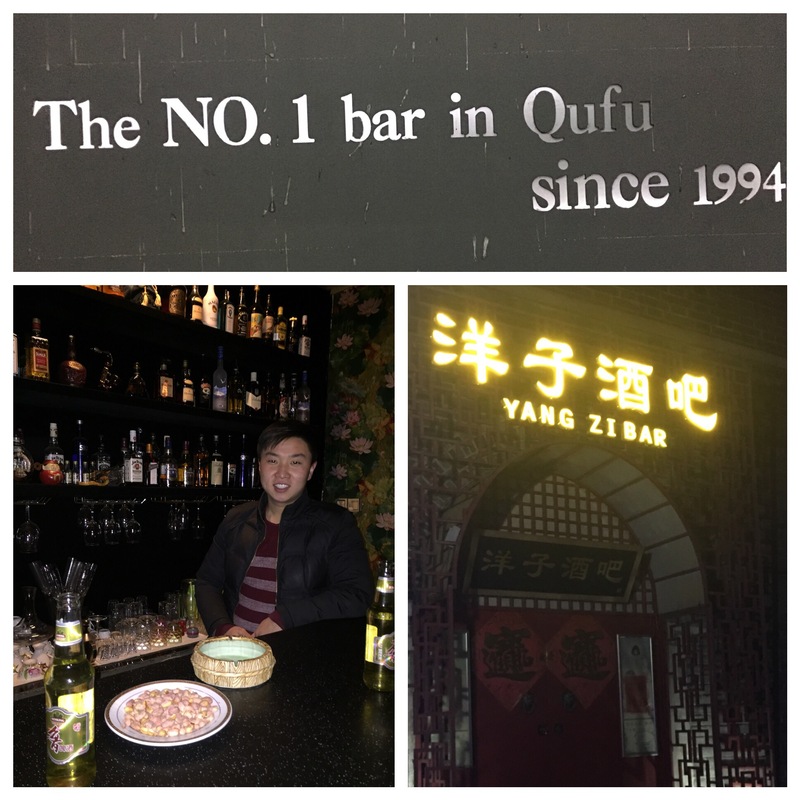 Next stop is the self proclaimed No.1 bar in Qufu since 1994 and I think is the bar mentioned in Wikitravel. Nice enough place with more Lu Beer and a full spirit shelf. The bar is called Yang Zi Bar, but appears on Four Square as N1 Qufu Bar. No doubt this place had longevity, but for mine the best of the three is the Last we visited. 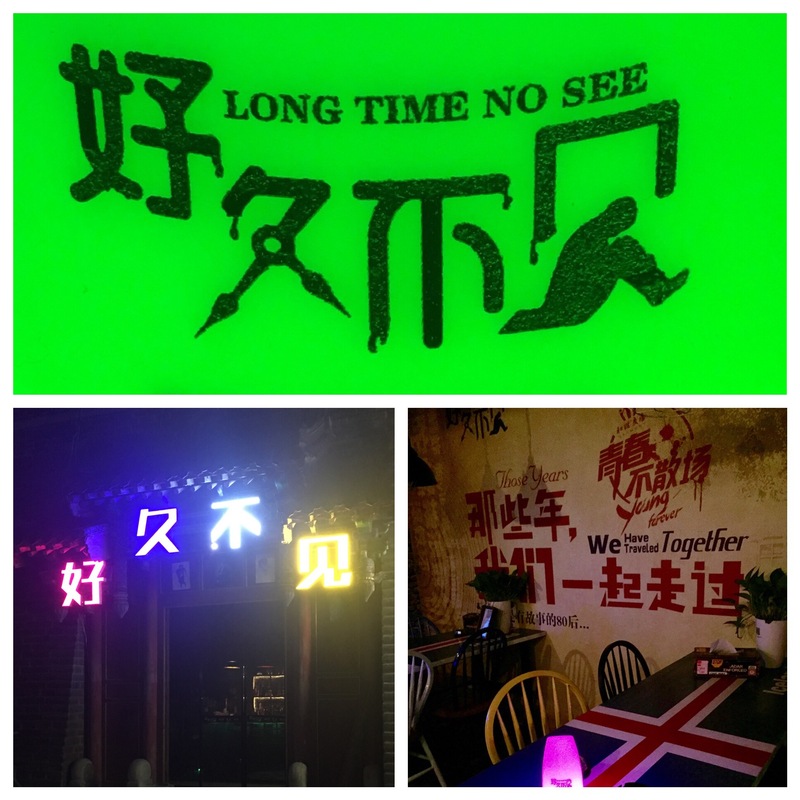 Long Time No See or 好久不见 is another dimly lit bar with a quirky edge to it. There’s a mezzanine deck and funky tables and lighting. The barman put on some Ed Sheeran and some scrolling video with phrases exhorting you to basically get pissed. Beer choice was eclectic with Vedett, Delirium Red, Kronenberg 1664 Blanc and Gold accompanying the Tsingtao and Laoshan. 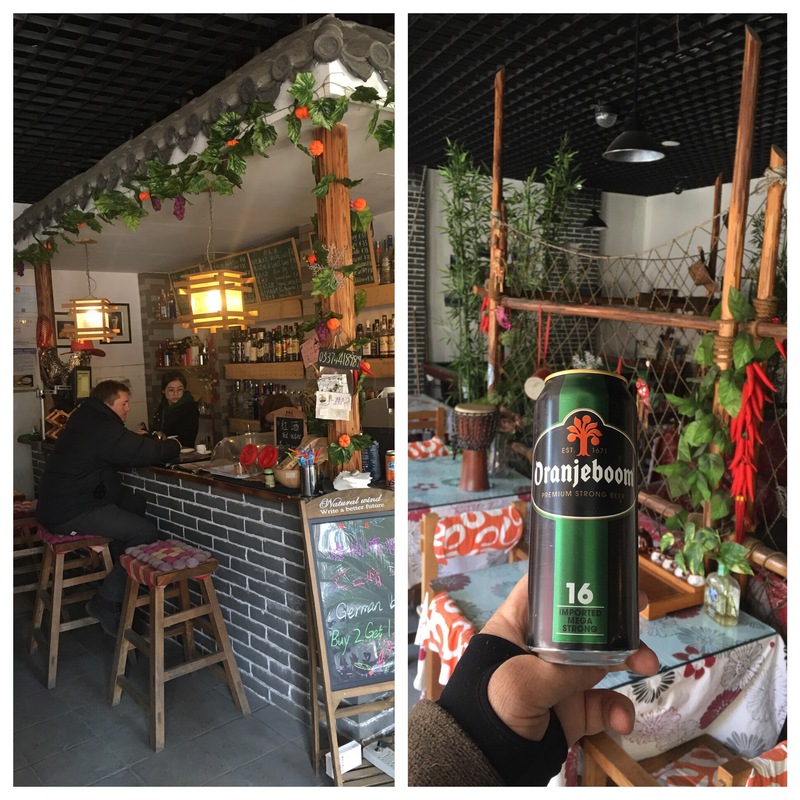 Ultimately, the place to drink in Qufu ended up being the bar in the place where we stayed. 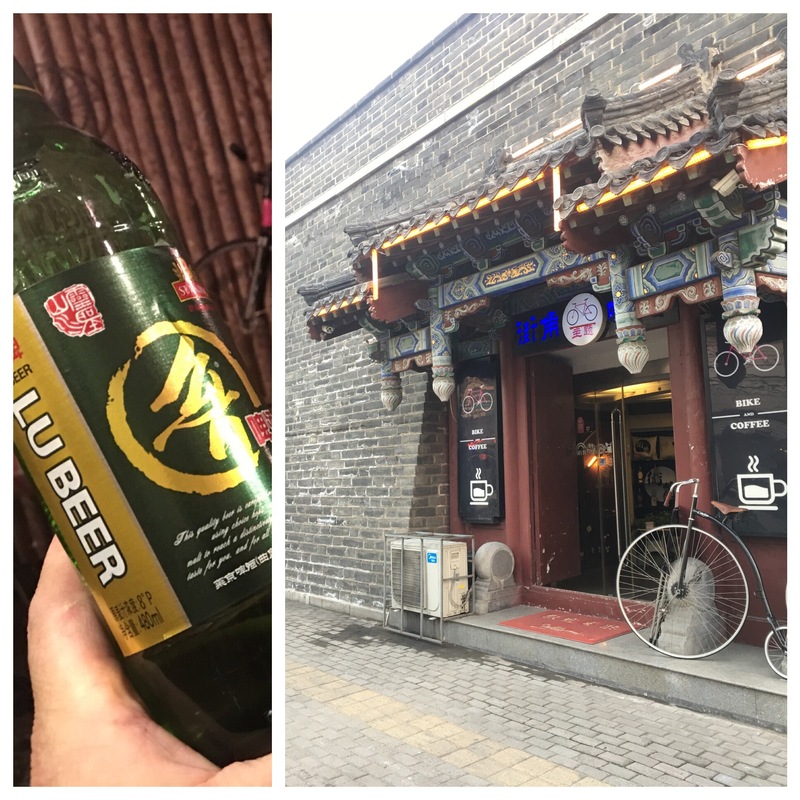 The “Qufu International Youth Hostel” has a great bar, with the best variety of beer. Impressive range of Tsingtao, but also a solid collection of European Beer (including the German oddity – in this case Schaumhof). As my brother played a game of chess against one of the staff, I quietly sipped a pungent can of “Strong Oranjeboom”. It was only the next morning I read the fine print “Imported Mega Strong 16%”. No wonder I had to ask my brother whether he won his game of chess or not! Qufu – it is off the beaten track, but rewarding if you make the effort.